Note: This article was originally published in the October 8 edition of the Home Care Association of New York State’s weekly newsletter, the Situation Report. You can view a PDF excerpt here. 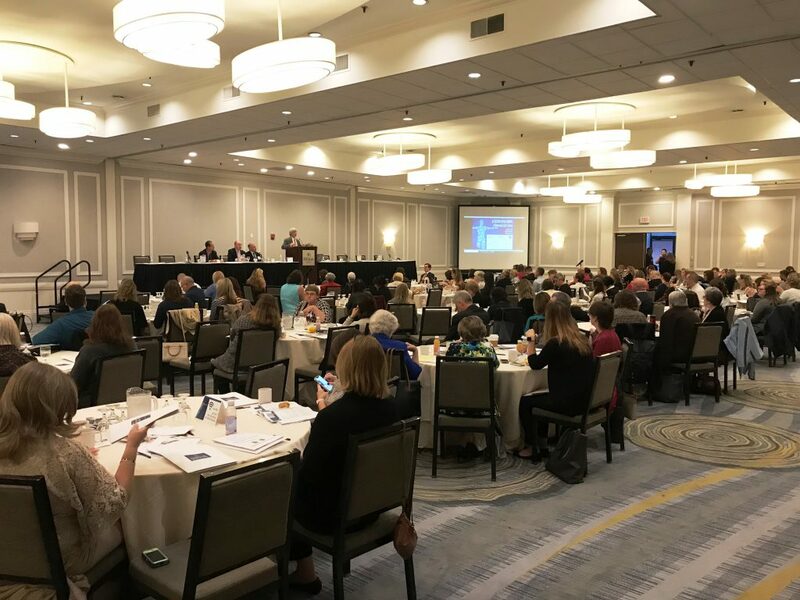 Last week’s HCA and partners’ All-Sector Sepsis Summit (on October 3) drew over 200 attendees from across the continuum of health care and advocacy to share best-practices, data, survivor stories, and action items for sepsis prevention, diagnosis, treatment and screening efforts. The summit is a milestone in a multi-sector aim to combat sepsis. New York State Health Commissioner Dr. Howard Zucker, MD, JD delivers a video message to attendees. The purpose of this national-first summit was to get all of the various sectors interacting and learning about each other’s work, leading research, and evidence-based practices to deliver a seamless response to a lethal condition that kills over 250,000 Americans each year. This is especially important given how crucial time is in saving lives: Mortality from sepsis increases 8 percent for every hour that treatment is delayed. 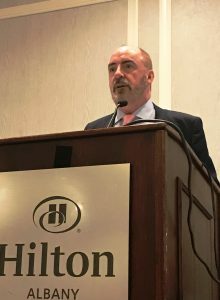 The summit, which sprung directly from HCA’s Stop Sepsis at Home initiative, was a true “call to action,” involving the collaborative work of HCA, the Healthcare Association of New York State (HANYS), IPRO, Sepsis Alliance, the Rory Staunton Foundation for Sepsis Prevention and a score of co-sponsoring organizations. In keeping with this “Call to Action” theme, representatives from all sectors outlined the ways they could work together to promote a true continuum response to sepsis, with HCA highlighting its community-based sepsis screening and intervention tool, which HCA urges all home care agencies and MLTCs in the state to adopt into their clinical standard practice. Along the lines of MLTC-home care connections, Amy Bowerman, Executive Director of Senior Network Health MLTC and Director of Quality Improvement and Privacy Officer for Visiting Nurse Association of Utica and Oneida County of the Mohawk Valley Health System, noted that her MLTC asks home care providers, as part of the interview process for contract negotiations, whether the provider is using the home care screening tool; and her plan also includes resources, like the consumer-oriented sepsis Zone Tool, in packets for new MLTC enrollees. There are many things that home care, MLTC and all health organizations can do. This is why attendees were asked to complete a postcard where they listed three steps they planned to take based on what they heard and learned. The postcard will be mailed back to attendees in the near future as a reminder to pursue concrete steps on sepsis in their practice, in their organization, and in their public outreach. We encourage all providers to maintain an action-item list! The insights and information provided by over twenty presenters and panelists from the medical, health association, clinical quality, sepsis survivor and government quarters are too numerous to mention here. Yet one thread that weaved throughout the entire summit was the way that the occurrence of sepsis has touched so many lives. Ciaran Staunton of the Rory Staunton Foundation for Sepsis Prevention. Ciaran Staunton spoke movingly about his son Rory’s death from sepsis and the Foundation that he and his wife, Orlaith, created in Rory Staunton’s name to change the regulations and save more than 5,000 lives to date, garnering a standing ovation from the audience. Orlaith then presented on Rory’s Law, a new law advocated by the Stauntons to place sepsis education in the schools and in the periodic infection control education required of clinicians in New York State. Attendees also heard from sepsis survivors Joseph Caruso, who got sepsis after a trip to the dentist, and HCR Home Care Nurse Educator Carla Wahls who told her story about a near-fatal encounter with sepsis, as described in her recent op-ed for the Rochester Democrat and Chronicle (see https://tinyurl.com/ydguqo2c). Sepsis Alliance Executive Director Thomas Heymann told how the tragic loss of Erin Flatley to sepsis at age 27 following an infection from a routine medical procedure led her father, Dr. Carl Flatley, to form Sepsis Alliance to prevent and combat sepsis, and to support sepsis survivors and their loved-ones. 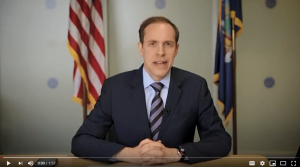 At a similar intersection between policy and personal experience, HCA has been working closely with the Acting Director of the New York State Office for Aging, Greg Olsen, on several outreach initiatives to engage his office’s network of local affiliates on sepsis, including an upcoming public service announcement featuring Mr. Olsen and Interim HCA President Al Cardillo. Mr. Olsen noted that in the time since he started working with HCA on these efforts, a few members of his staff either experienced a sepsis occurrence or had a family member die from sepsis. Capital Area Assemblyman John McDonald also addressed the summit, offering his support and continued sponsorship of legislation developed by HCA to support sepsis intervention through home care, as well as through collaboration among all key sectors. State Department of Health Chief Medical Officer Dr. Marcus Friedrich presented compelling data from the state’s hospital, nursing home and home care studies, joined by Sara Butterfield, Senior Quality Director at IPRO, whose data presentation underscored the potential of home care to make a significant impact in prevention and avoidance of hospital readmissions. Benita Zahn of WNYT interviews Thomas Heymann of Sepsis Alliance. One way to raise the profile of this deadly condition is by engaging the media and telling them about the efforts you are doing to Stop Sepsis at Home. The Summit was fortunate to have NewsChannel 13 anchor Benita Zahn on hand to speak about sepsis coverage in the media, resulting in her evening news report about the summit and, more importantly, about ways that the public can be attuned to the risks using the wealth of resources available through organizations like the Rory Staunton Foundation for Sepsis Prevention, Sepsis Alliance, IPRO and others. 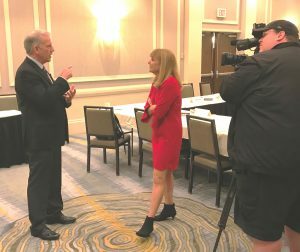 You can see her report and interview with Sepsis Alliance Executive Director Thomas Heymann here: https://wnyt.com/health/sepsis-conference-held-in-albany/5096274/. Ms. Zahn, too, had a personal story about sepsis, telling attendees that her mother’s death nearly 40 years ago was later determined to have been from sepsis. Her story underscores another phenomenon that makes sepsis so difficult to identify: Not only do its symptoms mirror those of other conditions, but sepsis is often the underlying cause of death even if – as Northwell Health’s Dr. Martin Doerfler, M.D. noted – sepsis may not end up being listed on a patient’s death certificate. This further underscores the challenges in raising awareness and treating this deadly condition, and both Dr. Doerfler and Dr. Alan Sanders, Chief Medical Officer for St. Peter’s Partners Health System, emphasized the critical importance of prevention, early identification and screening. Dr. Doerfler was one of the top medical advisors to HCA in the creation of the HCA home care sepsis tool. If your organization has not yet joined this call to action, please act now by joining providers across New York State and in other states who have signed a user agreement to adopt HCA’s sepsis screening tool. A user agreement is available on our Stop Sepsis at Home website (the top item on our Tools and Resources page here: http://stopsepsisathomeny.org/tools-and-resources/). If you have any questions about the tool or other ways your organization can participate in this urgent call to action on sepsis, please contact HCA Interim President Al Cardillo at acardillo@hcanys.org.